More than fifty years ago Peter Drucker wrote and proved that Marketing and Selling are not the same. Drucker may have made as much as $10,000 an hour as a consultant. Yet he did no selling or advertising of his services. He also claimed that perfect marketing would make selling unnecessary. Perfect Marketing Would Make Selling Unnecessary? Marketing is about having the products or services desired by the prospect. If you have such a product or service you have a much easier job in presenting the product to prospects and convincing them to buy it, both important steps in selling. Impossible? 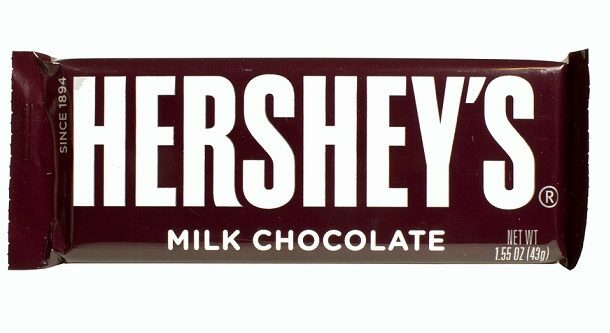 For 70 years The Hershey Company did no selling or advertising for its famous candy bar. According to an ad executive, it didn’t need to: “This was a brand that was an American staple, had been passed down for generations, and that people could remember enjoying as a kid.” The Hershey people had a product that was desired and could get it to distributors—all marketing, not selling, functions. Selling was no longer required! Of course, it is necessary to get to that point. To do that we still need first to focus on the customer and what the customer values and that’s true in both marketing and selling. No matter how smart we are, we don’t decide what the customer wants and values. Sometimes this can expectantly result in sales that we never thought were possible. Years ago, Joe Cossman introduced the flexible garden hose with holes to the gardening market as an alternative to the water sprinkler. Practically everyone that owned a lawn or garden bought at least one. They were more popular than the ultra light expanding hose that has been introduced in the last few years. Cossman, tracked all the wholesale orders of his product. A wise move. He found that farmer supply and feed stores were ordering his product in large quantities. Since homeowners seemed to fall outside the regular customers of feed stores, he contacted the stores to inquire about the reason for the unexpected sales. He discovered that farmers raising chickens discovered that his garden hose with holes made an excellent (and less expensive) air conditioner for lowering the temperature of chicken coups during the hot summer months. Cossman discovered a large, but unsuspected, market. Drucker was not surprised; it was frequently the case. What did surprise him was when he discovered how frequently some marketers ignored or even intentionally avoided unexpectant sales. He decided that the problem was that the suppliers frequently made assumptions about what certain prospects wanted that were incorrect. Yet it was always the customer who defined the product or service, not the supplier. But Drucker was shocked to discover that some marketers even discouraged sales when someone used a product other than how it was intended. Pharmacologist Alfred Einhorn became so distressed when dentists began using his anaesthetic drug, Novocain, that he travelled throughout Germany, trying to get them to stop, angrily insisting that his invention was intended for use by MDs, not dentists. R.H. Macys tried to stop appliance sales because by the established norms of the time, appliance sales were supposed to be significantly lower in a department store, where the emphasis previously was strictly on clothes. They actually thought of ways to discourage customers to quit buying appliances. They tried to stop sales, even though it was in their own and their customers’ best interests to exploit the unplanned and unexpected increase in sales through appliances. It ultimately proved to be a much larger market, which easily complimented clothes in a department store. Drucker neither sold nor advertised his consulting. What he did was to find a way to attract customers to come to him. Drucker had a background in writing. He wrote articles and books about subjects that his potential clients were interested in. He wrote about a consulting engagement with General Motors. It is said that his client did not even agree with Drucker’s conclusions. Never mind, others were interested from his writing. He didn’t sell his services to build his practice. Clients went to him. You can do the same. It certainly fits Drucker’s principle which asserts that marketing is primary over other business functions. Moreover, it almost automatically ensured that Drucker had a product that prospects desired and valued. If they didn’t, he would not have been published in either books or magazines. Moreover, every part of “the Drucker business” was involved in this marketing effort—from his books and articles in Harvard Business Review to tapes, videos, seminars, and workshops. Drucker eventually no longer even had use his writing abilities to get clients. He got clients without asking for them. I’m sure he received queries about doing consulting when he was in his nineties, although he had long since retired from active consulting. He had what his prospects wanted, and that is a lesson for us all. John Luciew, “Hollywood Gets Hershey's Marketing History Mostly Right In 'Mad Men' Finale,” accessed at http://www.pennlive.com/midstate/index.ssf/2013/06/hollywood_gets_hersheys_market.html, 7 May 2015. 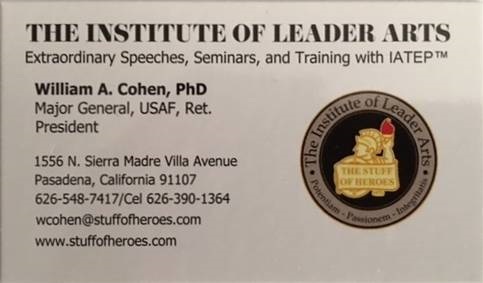 William A. Cohen (LID, 2016) and syndicated elsewhere.